Cozy Chicks: THINGS THAT GO BUMP IN THE NIGHT. 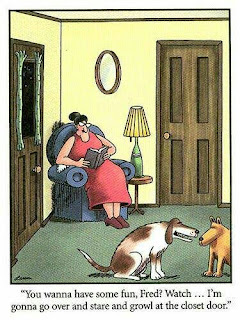 When I saw this cartoon, it reminded me of my own experiences with "things that go bump in the night." When you hear a noise in the house, for a heart-thumping moment, you immediately think, "Is it a robber? A home invasion? A ghost?" But what if it's a furry four legged creature? Most of the time, it's been a cat! And it always seems to happen when I'm alone in the house, like one of those silly heroines in a Wes Craven movie. 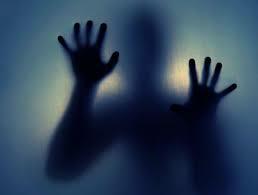 One night, I woke up from a sound sleep, when I heard a noise coming from the bathroom that's attached to the bedroom. Weird, I thought, and tried to go back to sleep. I was alone in the house, but not panicky because I remembered I'd left the bathroom window open to get some night air. Probably a squirrel on the roof, I decided. And the bedroom is on the second floor so it seemed unlikely anyone would want to break in that way. 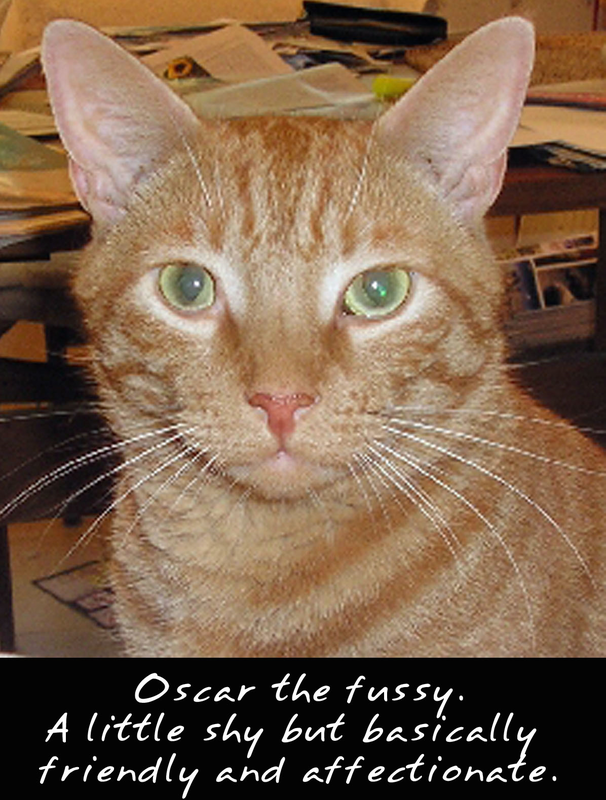 But Oscar, a slightly nervous cat, felt differently. He woke up the same time I did, and stared fixedly at the open bathroom door. I put my hand on him to reassure him, but he was having none of it. He gave a low growl and the fur was standing up on his back. Oh no! Now my heart was tap dancing in my chest. "It's nothing, Oscar," I said in my most reassuring tone. Oscar ignored me and moved quickly to the bottom of the bed, never taking his eyes off the open door. And then, to my horror, he moved his head slowly from right to left, tracking something. Something I couldn't see. Something moving. Something approaching. As if an unseen person, or thing, was moving slowly towards the bed. Oscar was growling and twitching his tail, freaking me out! Now I was in full panic mode. I jumped up and turned on the light. Just as I expected, there was nothing there. But Oscar had given every indication, he'd seen something moving in the shadows. Was it impossible to get back to sleep? Well, let's just say I left all the bedroom lights on and the TV.blaring. I think I finally fell asleep around 3:00 am. Do cats see things we don't? Sometimes I wonder. It took Oscar a long time to settle down, too.